Hot Weather Hits the Charlotte Area – Is Your Central AC Ready? An early Summer heat wave is going to make its presence known this week with near-record highs, and the typical afternoon thunderstorms we’re used to in the Charlotte area. The heat also means we’re going to be expecting our central air or heat pump to handle the first real high demand load of the 2012 cooling season. Normally, when temperature swings like this occur, local hvac repair companies are going to be operating at their highest capacity, so make sure you test and check your central air system as soon as you can, to avoid long wait times while the repair company gets to you. Of course, you could always fashion a few white lies to get your AC repaired today also! Basic guide to the price for recharging your central air system with refrigerant. We also published a current overview of R22 recharge prices for those of your with older systems. Overview of the many reasons your HVAC system is blowing warm air. From bad thermostats to tripped breakers and dirty filters, the guide gets you on your way to finding a solution! Learn what to check before you start your central AC for the first time of the season. Covers common tasks like keeping the outside condensing unit clean and changing the filter, to cleaning the ac condensate line! 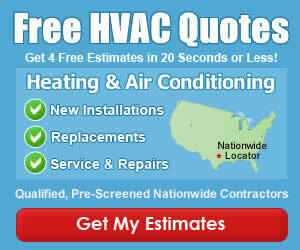 List of the approximate prices for ac and heat pump repairs in the Charlotte area. Did your AC Start Up Smoothly? If so, take a few minutes to brag about how you maintain your own system, or share the name of your favorite Charlotte AC Repair Contractor, so your neighbors can make sure they get the same level of security you have!